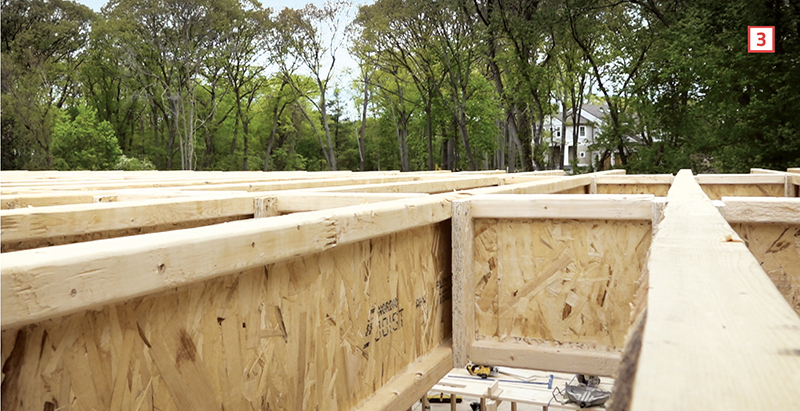 Engineered I-joists can span long distances to make a flat and solid subfloor. Tying the joists together with blocking makes the floor even stronger and stiffer. So one of the last things that need to be done before sheathing the deck is to fill in with blocking. 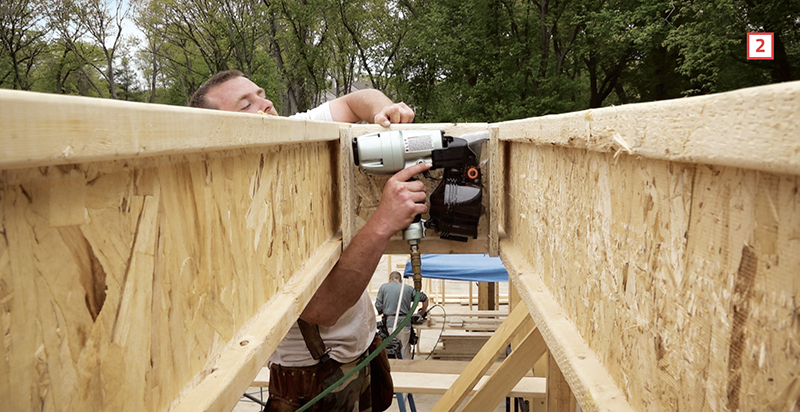 To make the blocks, I cut sections of I-joist 1½ inches smaller than the space between the joists, then nail a scrap of ¾-inch subfloor material to each end of the block . This creates two large nailing fins. Calvin Cutts works from a ladder to install the blocks. 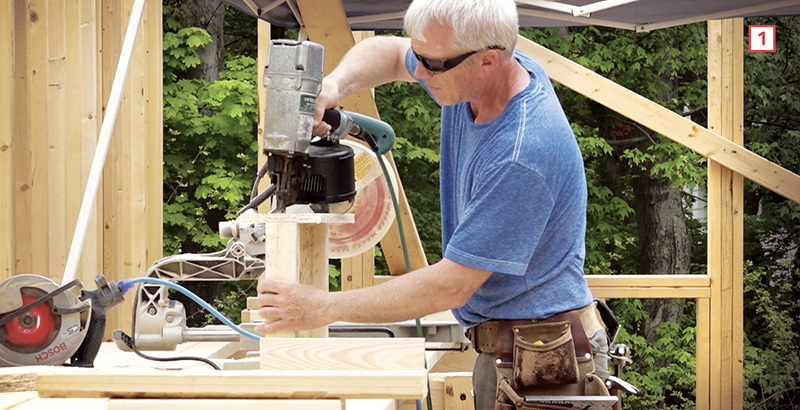 After lining up each block with the tops of the floor joists, he nails it in place, top and bottom, on both sides . The subfloor strips are about ½ inch shorter than the full height of the I-joist  so that the nailing fins will not stick above the tops of the joists and cause humps in the floor. Why not use "X" metal bridging, wouldn't it be less time consuming and you're not relying on extra I-Joists to do the task?